Wild Yam is a popular women&apos;s supplement, and it was used by the Native Americans to reduce discomforts associated with labor and pregnancy. 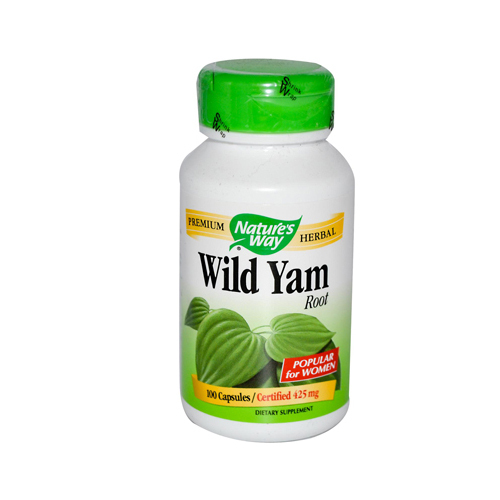 Wild Yam contains a compound called diosgenin which has been used in steroidal drugs. Though it has a long history of use as a woman&apos;s herb, it also has several other benefits. One of its other folk names is colic root to pay homage to the fact that it is a great herb for colic. The thing that makes wild yams effective for certain conditions is the fact that it is considered an antispasmodic. This means that it is capable of relieving spasms including those in the intestines or those brought on by menstrual cramps. Wild yam root (850mg). Other ingredients: Gelatin and millet.